After Jimmy The Butcher Figgis sees Jake and Holt's viral video, the two begin plotting their attack. However, when caught red-handed, they are forced to experience the other side of the interrogation table. Back at the precinct, a questionable new Captain takes over. Amy: Guys, guys, the marshal gave me good news about Jake. Charles: Jake's back. Jake's back! Oh, we're not ready. We need gummy worms. We need them now! Jake: Also it probably goes without saying, but it's chill to whiz in this thing. I mean, I have been. You can if you want. I haven't been if you haven't. Have you? I haven't. Have you? Captain Holt: No, we'll have to bribe the gun store owner so he doesn't run our names. Jake: But we don't have any money. Oh, my God. I'm the bribe, aren't I? Captain Holt: You're not the bribe. Jake: Why, what's wrong with my body? Captain Holt: Actually I borrowed $3,000 from my walking group friend Ruth. Captain Holt: Ruth, I'm going to be straight with you. I accidentally knocked up a woman. Captain Holt: You know me. I see a pair of thick weighty breasts and all logic flies out the window. Jake: Heterosexual you is such a dog. Amy: I can't believe they all let C.J. and Gina just buy them off. But we don't need them, 'cause we've got you, and you're a sergeant. Did you sign the letter yet? Amy: What did he give you? Sergeant Jeffords: He gave me a yogurt fridge, all right? I asked for a yogurt fridge, and I got one, right next to my desk! I'm only a man. Jake: Time is running out. We have the right to a phone call. We need to call the Nine-Nine so they can sort this out with the sheriff. Captain Holt: No, they would want to get involved and that could endanger them. Jake: They'd be okay with that. Charles and Amy both love me. Rosa's not scared of anything. I'm like a mentor to Terry. Jake: This is bad. Figgis has the marshal, and now he knows where we are. We're sitting ducks. That's the worst kind of duck. Captain Holt: Tell that to the Dutch Hookbill. Jake: Glass eye, you're up. Oh, so much drier than I would have thought. Did I want it to be wet? Jake: Right! Sorry. Just holding an eyeball in my hand. Jake: Any idea why Marshal Haas called this special meeting? Captain Holt: I don't know. Do you think she saw the video we put on the Internet to lure Jimmy Figgis down here? "Corn Dog pewwwnd by Go Kart." Jake: It's "pwned," but that was really adorable. Amy: Is there anything you guys want me to write? Charles: You have to tell Jake about my new son, Nikolaj. That he's four years old, he's from Latvia, he calls me "comrade," and I love him so much. Amy: Rosa, anything you want to tell Jake? Amy: You want me to write that you nodded slightly? Rosa: He'll know what it means. Gina: I would like you to tell Jacob that I'm thinking about him and hoping that he's safe. What? Meet the new Gina, who always puts others before herself. Can you make the whole letter about me doing that? Amy: Yeah, I'll just tell him that everything's exactly the same. Captain Holt: We need to talk without being overheard. Turn on the bubbles. Jake: Although, you know what, since I'm here, why don't I grab, like, eight handguns, couple of shotguns, and, I don't know, three more handguns. Wax Eagan: Can I see some ID? Wax Eagan: I don't need your ID. Federal database is down anyway. Wink wink. Wax Eagan: So how do you like your ammo? By the box or by the bucket? Jake: Cool, cool, cool, cool. Our country is broken. Captain C.J. Jason Stentley: Hey, guys. I'm Captain Stentley. Ah, yuck, that sounds so formal. Um Captain Jason. No. Call me C.J. Okay, so that's all I got, unless you guys have any questions. Rosa: Yeah, you wearing sweat pants? Captain C.J. Jason Stentley: No. Oh, yes. [laughs] Yes, I am. I, um, had some hot cocoa this morning, and I totally biffed it. Scully: I like this guy. Captain C.J. Jason Stentley: Here's how it happened. I had an appointment at my dermatologist at 402 7th Avenue. But I went to 204 7th Avenue by mistake. It's like numbers are so crazy, am I right? Jake: See you around, Coral Palms. Adios, constant pool of sweat in my taint! Captain Holt: See you never, drive-through vape station. Captain Holt: Bye-bye, slightly askew stop sign. Jake: Oh, come on, for running a stop sign? We just passed someone driving with both feet out the window. Sheriff Reynolds: Whoa, hold on. What do we got going on back there? Jake: Oh, uh, yesterday's newspaper. Sheriff Reynolds: No, I'm talking about the pile of guns and the bucket of bullets. Captain Holt: Right, right, yeah. Jake: Bucket of bullets, sure, sure. Sheriff Reynolds: I need you both to step out of the vehicle. Jake: Yep, it'd be weird if you didn't. Jake: This is a little bit weird. Never been arrested before. I mean, I was "detained" once by Taylor Swift's security team, but that was a misunderstanding. She's probably going to write a song about me. Captain Holt: We got to get out of here. Figgis could show up at any minute. Jake: Don't worry. We can outsmart some small-town sheriff. We're NYPD detectives. We caught the Son of Sam. Ice-T plays us on TV. We keep the Tony's safe. Amy: I think we all agree that C.J. is, to put it mildly, not very impressive. Sergeant Jeffords: I watched him try to close the blinds in his office for 40 minutes. He finally just gave up and changed his pants with the windows wide open. Amy: Something has to be done, and I have a plan. We use mankind's greatest weapon. Emily: Hey, guys, I'm Emily, Gina's assistant. Amy: Wait, she actually got that? Emily: "Wait, she actually got that?" Sorry, I'm under strict orders from Gina to mock you whenever I see an opening. Emily: Your 2:00 is here. Gina: Okay, thanks, Em, and while I'm in this meeting, will you just shred some documents for me? Anything you see. It's all garbage. Gina: Rosa, dare to dream. What do you want? Rosa: For him to be gone. Gina: You want that more than you want walls around your desk so Hitchcock can't stare at you with his big old google eyes anymore? Rosa: C.J. stays. I love that guy. Gina: And how about you, Charles? What do you want, baby boy? Charles: Well, I agree with Amy that C.J. is totally unqualified and a disaster for the precinct, and I would really love a treadmill desk so I can hit my cardio targets. Charles: I'm sorry. I'm doing it for Nikolaj. You'll understand once you bear unto Jake a child. Sheriff Reynolds: So, look, why don't you each write down your answer to these questions. Okay, question one, what were you going to use the guns for? Okay, and then read 'em out when you're done. Sheriff Reynolds: Okay, see, I knew you boys were on the level. Okay, question two: What do you hunt? Captain Holt: Grouse and other small fowl. Jake: Yep, we hunt everything. You know, deer, grouse, a horse once. Captain Holt: Yes, we love killing any animal. Sheriff Reynolds: [chuckles] I hear ya. Sheriff Reynolds: Okay, question three: You said you had somewhere important to go, so where exactly is that? Jake: Dinner date. That's what mine says as well. Sorry about the handwriting. The point is, neither of us are lying. Should we just pick up our keys on the way out, or how do you want to do this? Charles: Hey, I'm up to 20,000 steps. Charles: Oh, you don't care about my health? You don't care about if Nikolaj grows up without a papa? You want me to die? Amy: I'm sending this letter with or without your signature. Enjoy your blood yogurt. Jake: Hey, fellow prisoners. Hi, there. Everyone, look, we haven't connected as much as maybe we should have. That's our fault. Why don't I just kick things off. I'm Jake, and I like baseball. Now you say something about yourself. Captain Holt: I'm Raymond. I don't care for baseball. Rosa: Hey, can you guys keep it down? Need a roof on this thing. Gina, I need a roof. Captain Holt: What would it take for him to intervene? Do I actually have to kill you? Jake: No, he'd probably love that. Jake: But you know what he would hate? Okay, just go with me on this, all right? Sheriff Reynolds: Ooh! No! No! Captain Holt: I think so. Sheriff Reynolds: Not in my jail. No, no. Break it up! Whoa! Stop it! What are you doing? Captain Holt: It's 2016, man. This is on you. Sergeant Jeffords: Hey, Santiago, come with me a sec. Amy: Why? So you can show off some new cool thing that C.J. got you? Let me guess, golden suspenders? Sergeant Jeffords: Can you imagine? I would look amazing. Sergeant Jeffords: It's just that the squad feels we've been taking advantage of you, and it has to stop. So I returned my yogurt fridge. Charles: I gave my treadmill desk back. Rosa: I took down my desk walls. Gina: And I have agreed to fire my assistant's assistant Dana. Gina: Emily had a lot on her plate. Jake: I can't believe we're fugitives on the lam, falsely accused of a crime. Captain Holt: There's nothing false about it. We committed several felonies and escaped from jail. Jake: Yeah, but we were just doing what we had to do. We're the good guys. [gasps] This is what they all think. Captain Holt: Is something off with you, Marshal Haas? U.S. Marshal Karen Haas: I don't know. I mean, I met someone, okay, and, um I mean, it's not my husband, I mean, nothing's happened yet, but my entire body is on fire. He's Cuban. Jake: Is this still official business? U.S. Marshal Karen Haas: Of course it is. Shut up and watch the movie. Captain Holt: Hello, Larry. It's your neighbor, Greg. Can I try your hot tub out? I'm thinking of getting one. Jake: Of course, that's a totally normal thing to do in 100 degree weather. Come on in and hop in the tub. Captain C.J. Jason Stentley: Unqualified? Amy: No. No, no, no, no. Captain C.J. Jason Stentley: It's because I am, actually. Captain C.J. Jason Stentley: Anyway, there was this big drug bust going down. I showed up, spooked the kingpin. He darts for the front door, trips, shoots himself in the stomach accidentally, and then after that everybody pretty much surrendered very quickly and they made me a captain about a week later. Charles: Didn't you have to pass the exams? Like, wasn't there, like, an interview where they met you and ... heard you speak? Captain C.J. Jason Stentley: Presumably. Captain C.J. Jason Stentley: Look, I'm going to be honest. Between you and me, I don't fully know what I'm doing, but it seems like you guys do, so I'm just gonna stay out of the way and give you guys whatever you need. Gina: Ceej? Hi, Gina Linetti here. What I need is an assistant of my own, just to do my paperwork and all my other work. Captain C.J. Jason Stentley: Work is the worst. I get it. Uh. Hire whoever you want. I just want you guys to be happy. Gina: And I will help you with that. Gina: I love him. He's the best captain we've ever had, hands down. Jake: Adios, weird Juggalo encampment! Gina: Looks like you're all alone. Em, can you go ahead and show her out? Emily: Right this way, please, and can I validate your parking? Sheriff Reynolds: No one has ever beaten The Newlywed Game. No one. Captain Holt: Sheriff, I'm ready to talk. Sheriff Reynolds: This better be good. I'm a busy man. Captain Holt: You just spent 30 minutes trying to win a radio contest. Sheriff Reynolds: For my wife. They're giving away Swampsgiving tickets. Captain Holt: I'm not really Greg, and that's not Larry. We're Captain Raymond Holt and Detective Jake Peralta of the NYPD. Jake: We've been targeted by Jimmy "The Butcher" Figgis, the mafia boss. We're in witness protection, and that is the full truth. Sheriff Reynolds: [sighs] [laughs] Good one. That's a good one. Captain Holt: Just call the U.S. marshal who handles our case. She'll explain everything. Sheriff Reynolds: She? [laughs] Oh, come on. This is getting crazier by the second. But I'll tell you, I kind of want to see how it plays out. Amy: So I heard from One Police Plaza. They received my letter, and apparently they also received hundreds of others in support of C. J.
Gina: Yeah, Emily and I sent those in. So Emily, what was that burn I had you write down for Amy because I didn't want to forget it? Emily: "Why so sad? Did you just find out American Girl doesn't make clothes in adult sizes?" Emily: "Steven Seagal called and he wants his ponytail back"? Emily: "Gina: Hey, Amy, what did one graphing calculator say to the other one? Amy: What? Gina: Why does the sad lady own two of us?" Amy: Listen, you selfish jerks, that guy in there, the one playing the bongos right now, he thinks we're killing it, so he's just staying out of our way. Well, the only reason we're killing it is because Captain Holt never let us be satisfied with ourselves. He always inspired us to work harder and smarter, to be better. And if he were here right now, he'd be ashamed of us. Captain C.J. Jason Stentley: Uh-oh. Captain Stentley. Am I in trouble? Sergeant Jeffords: No. You're our boss. Captain C.J. Jason Stentley: Oh, right. Are you in trouble? Captain C.J. Jason Stentley: Good talk. My door's always open, except when it's closed. But you can open it when it's closed. Jake: Figgis is in town, and we have no car, no money, no guns; we can't go back to our houses because the police are looking for us. It's time to call the Nine-Nine. Captain Holt: Nothing, I just think that we can do it alone. Jake: Sir, we just shared one of the longest kisses of my life. I think we can be honest with each other. Captain Holt: All right. The Nine-Nine bailed me out once before when I was taken hostage by Bob, a man I had put my trust in, like a fool. I don't want them to rescue me again. It's embarrassing. I need to clean up my own mess. 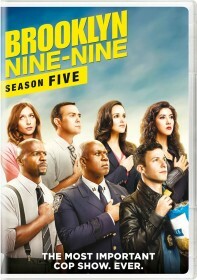 Jake: Captain, it's the Nine-Nine. There's nothing wrong with asking for help from people that care about you. Captain C.J. Jason Stentley: Absolutely not. Sergeant Jeffords: The Eight-Six said they would cover for us, and this very important! Captain C.J. Jason Stentley: That's enough. Someone once told me that being a captain means telling people no. Oh, wait. That was you guys. You guys told me that. Anyway, you're right. You can't go. Amy: Sorry, guys. I kinda feel like this is my fault. Emily: I kinda feel like this is my fault.